The RLE MVA is available in 2′ and 4′ lengths in 1 or 2 light versions in T8 ,TT5 Biax and T5 applications. Ideal for Correctional Facilities, Recreation Areas, Schools and any area where vandalism is a concern. 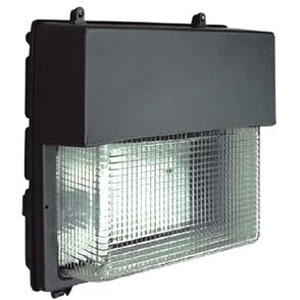 This versatile fixture can be surface, or wall mounted. Optional integral occupancy sensor is field adjustable for time and sensitivity. Optional corner mount box. Heavy-gauge, die-formed cold rolled steel with 1/4″ holes and 7/8″ KO for secure mounting. .125 thick multi-patterned injection molded polycarbonate lens with ultraviolet inhibitors to minimize discoloration and add strength. All parts standard with high gloss baked white enamel finish with minimum 89% reflectance applied over iron phosphate pretreatment for maximum adhesion and rust resistance. The CWPD is ideal for parking areas, entrances, walkways, underpasses, loading docks, recreation areas, and tunnels. Heavy-duty die-cast aluminum construction with powder coated finish. Heat and impact resistant tempered glass lenses. One-piece designed anodized aluminum reflector for optimum light efficiency. Silicon rubber seal prevents leakage. Standard wide throw reflector. Available as downlight only. 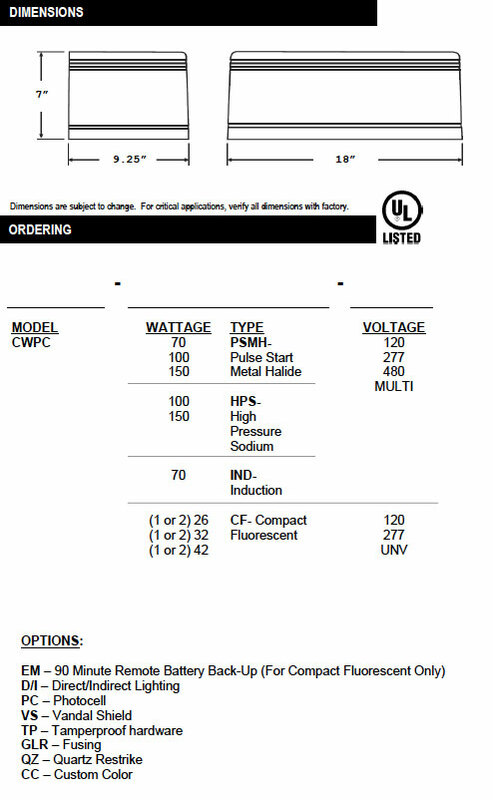 Lamping up to 150W PSMH or 150W HPS and compact fluorescent 2-42W available. Powder coated architectural bronze is standard. Other finishes are available upon request. The TCWP Cut-Off Mini Area Wall Pack is made with a die cast rear aluminum housing and one-piece UV stabilized polycarbonate front cover. 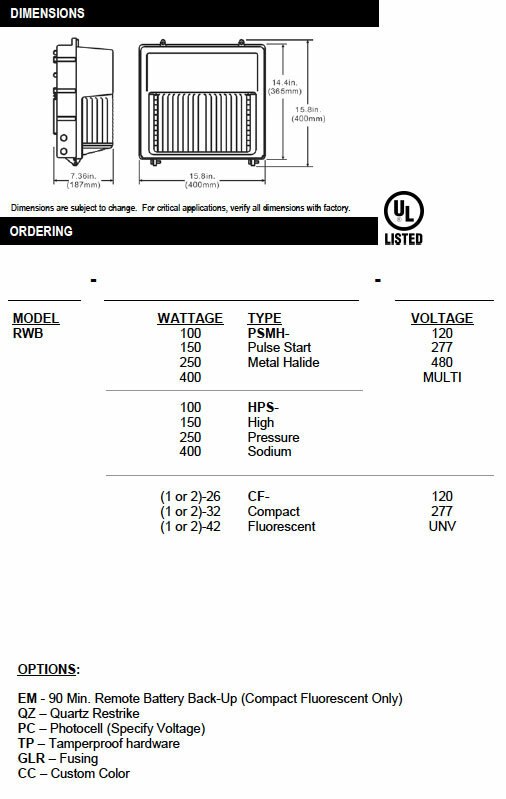 Available in high pressure sodium 50W- 100W, metal halide 50W-100W and CFL 26W-42W. 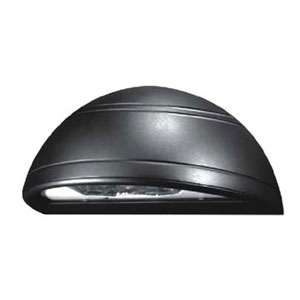 Dark sky friendly lighting aims light 15° below the horizontal. 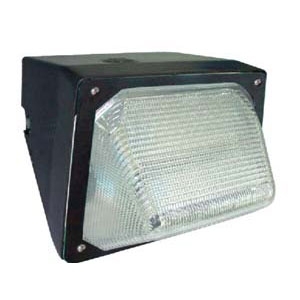 The hydroformed aluminum reflector improves fixture performance. 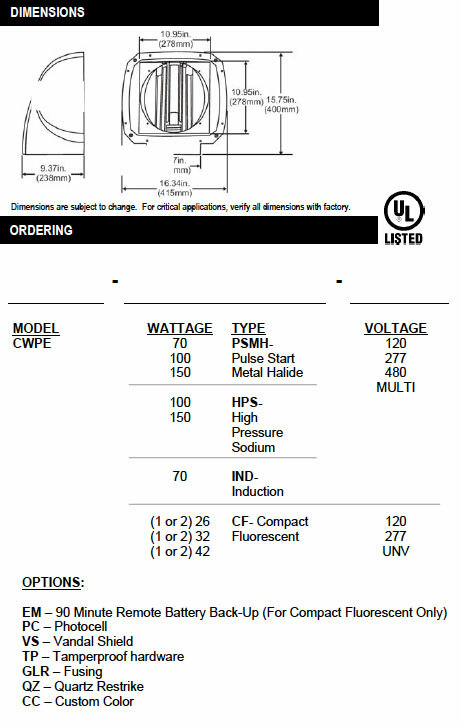 All units are provided with ½” threaded apertures allowing for surface conduit installation and/or optional photocell. All units fully gasketed for weather-tight construction. 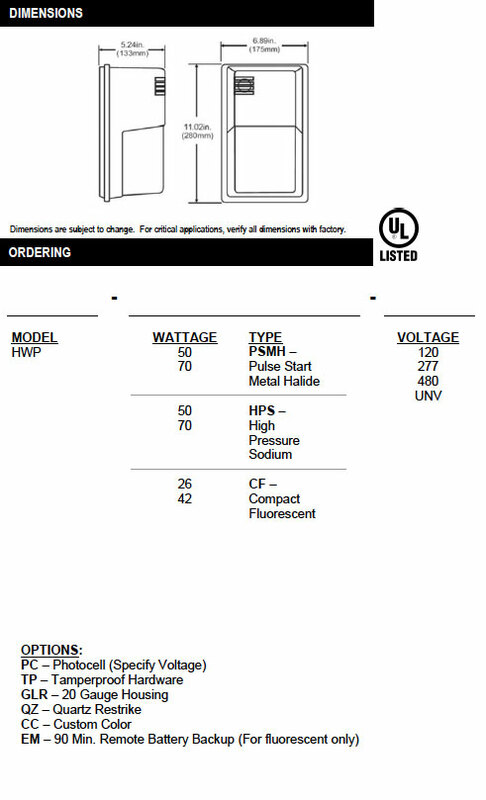 All units may mount directly over standard 4” outlet boxes. Rugged die cast aluminum rear housing. 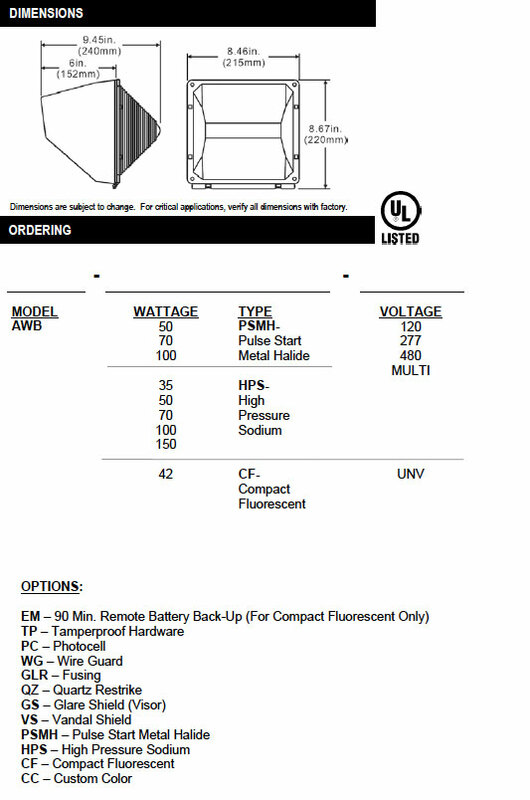 UV stabilized injection molded polycarbonate internally finished to match rear housing. Baked-on premium architectural bronze for maximum durability. The RLE WPB is ideal for parking areas, entrances, walkways, underpasses, loading docks, recreation areas, and tunnels. The WPB has a heavy-duty, die-cast aluminum back housing, with color-matched, UV-stabilized polycarbonate front housing and ribbed lens area. The front housing is hinged for easy relamping. 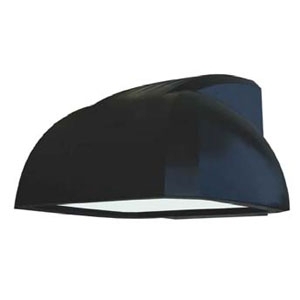 One-piece designed anodized aluminum reflector for optimum light efficiency. Silicon rubber seal prevents leakage. 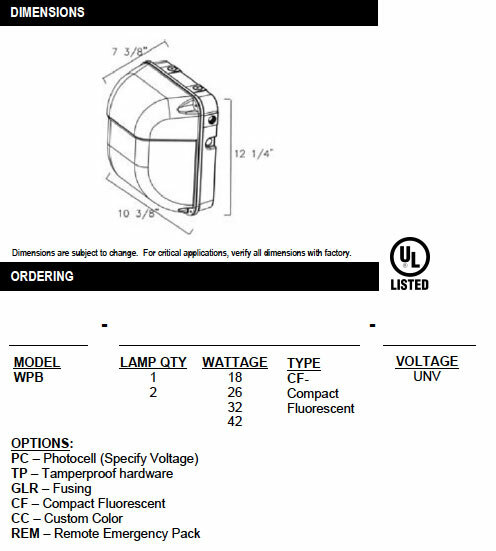 Lamping in compact fluorescent is 2- 18W, 2-26W, 2-32W and 2-42W and 35W, 50W and 70W HPS available. Heavy-duty die-cast aluminum back housing. 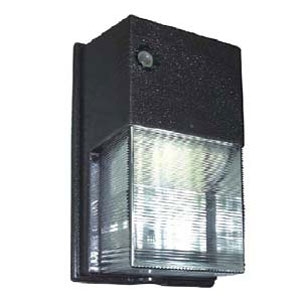 The AWB Exterior Wall Bracket Light is made of a die-cast aluminum housing and integral hinging feature for ease of maintenance. The borosilicate prismatic glass is optically-designed for optimum light distribution. An optional polycarbonate shield for vandalproof protection over the glass refractor is available. 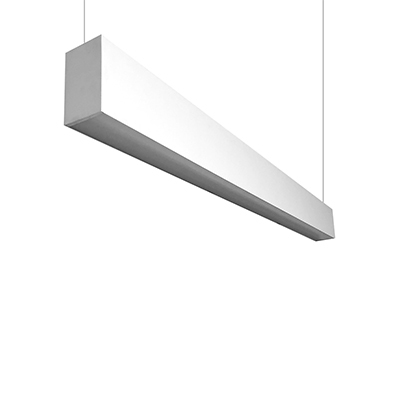 A textured, anodized aluminum reflector is designed in conjunction with the diffuser for maximum efficiency. Threaded apertures for surface conduit and optional photocell. The AWB is a fully-gasketed unit for weather-resistant construction. For wall mounting, install directly over standard 4” outlet box or with surface conduit conditions. Tamperproof hardware is an available option. 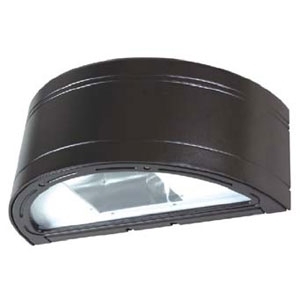 The CWPE Entrance and Walkway Light it ideal for parking areas, entrances, walkways, underpasses, loading docks, recreation areas, and tunnels. The heavy-duty die-cast aluminum construction is paired with heat and impact-resistant tempered glass lenses. Powder coated finish on cast aluminum housing. 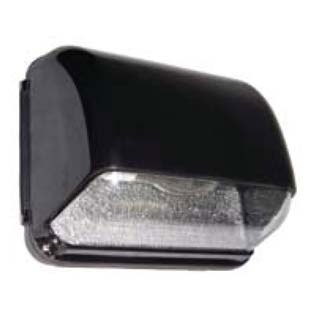 The one-piece anodized aluminum reflector is designed for optimum light efficiency. Silicon rubber seal prevents leakage. Rotatable wide throw reflector. 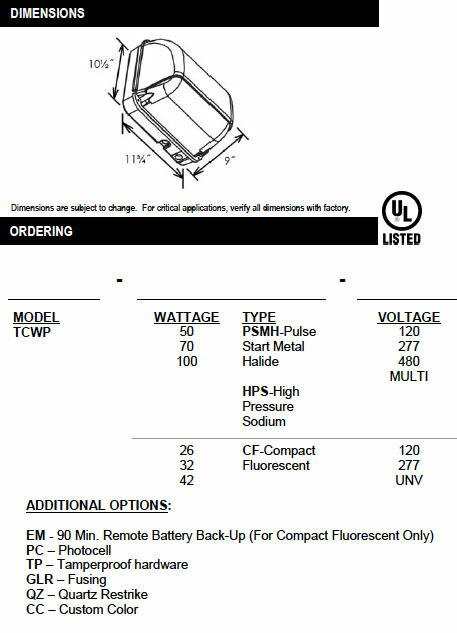 Designed for downlighting or uplighting installations. Quick install mounting bracket included. 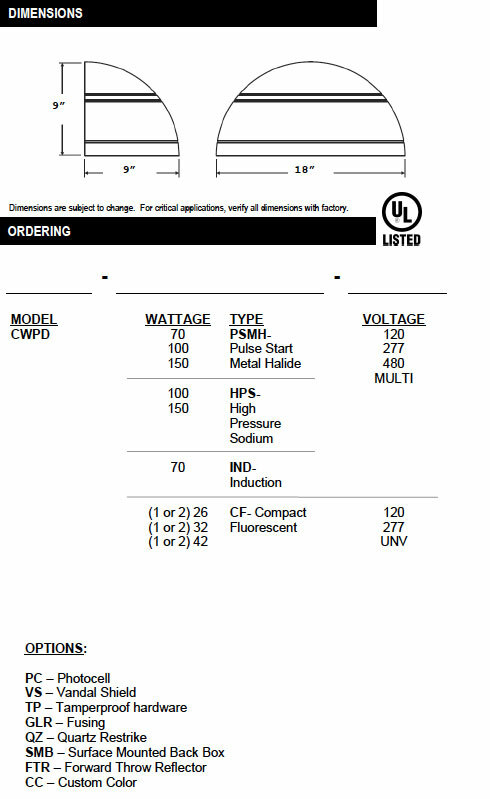 Lamping up to 150W MH or 150W HPS and compact fluorescent up to 2- 42W available. 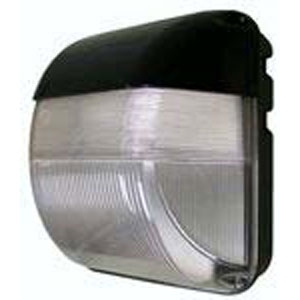 The RWB exterior light features a die cast aluminum housing with integral hinging feature for ease of maintenance. The borosilicate prismatic glass is optically designed for optimum light distribution. 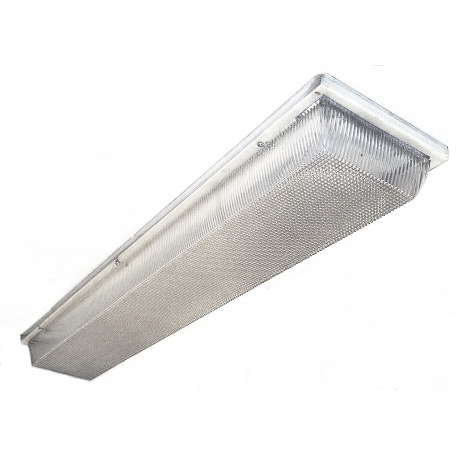 A textured anodized aluminum reflector is designed in conjunction with diffuser for maximum efficiency. Threaded apertures for conduit and optional photocell. The unit is fully-gasketed with weather-resistant construction. 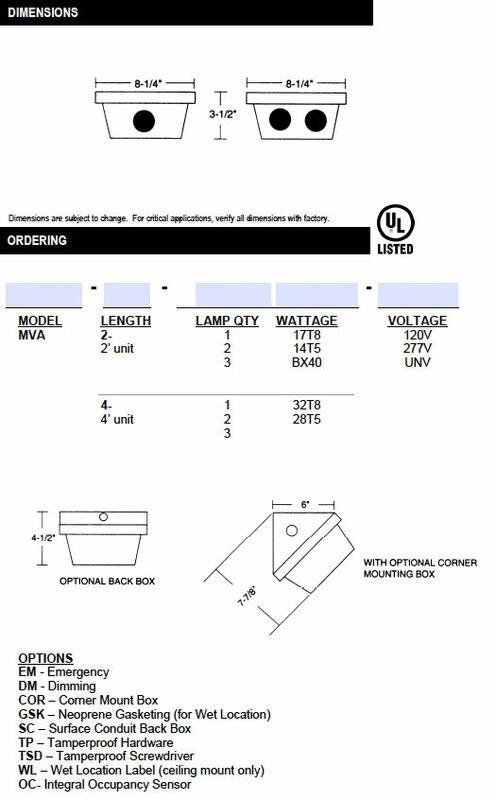 Wall mount directly over standard 4” outlet box or with surface conduit. Optional stainless steel wire guard. Optional tamperproof hardware. Borosilicate glass is standard. Wire guard available.